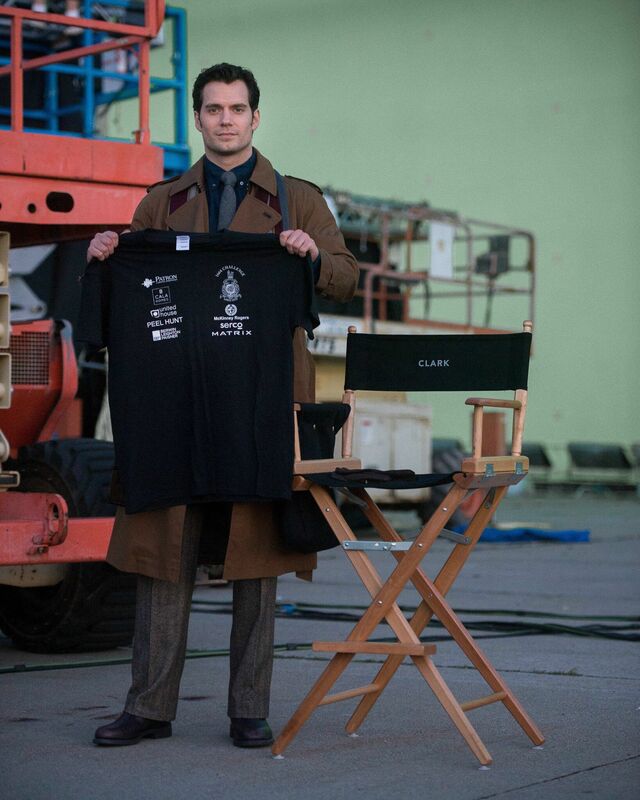 The RMCTF (Royal Marines Charitable Trust Fund) posted this picture on their Twitter account of the English actor in mild-mannered reporter, Clark Kent garb (minus the glasses) for Warner Brothers’ trailer to the upcoming catch-up film. One of my beefs with Man of Steel was that the film didn’t develop Clark’s interest in journalism unless those nomadic jobs were supposed to count for his movitation to pursue a career that allows him to stay close with humanity as supposed then to be closer to Lanis (name for Lana posing as Lois) or the fact we weren’t shown nor told any credientals. Hopefully this side of the character will finally be portrayed as a compentent Daily Planet employee instead of the irritating opposite. “The Late Mr. Kent” from The Animated Series showed how good he was at his job. The Kansas farmboy (being the character) even published some best-selling novels (Under a Yellow Sun) in comparison to Lois Lane’s accomplishments in the Post-Crisis Universe. That all seems highly unlikely considering how desperate this studio is to compete with Marvel.